Do you have questions regarding a possible treatment? Our case management will help you! Patients, relatives or treating physicians are welcome to send their inquiries to our Case Management using the following contact form. 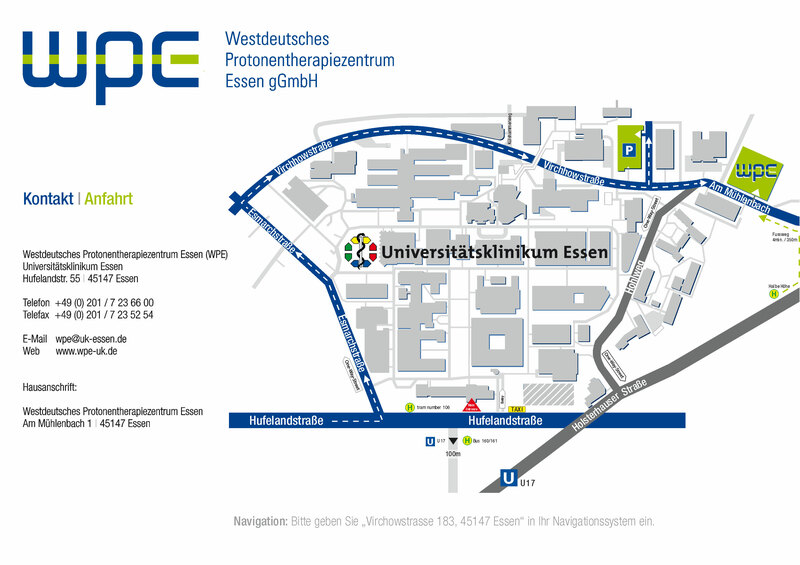 There is a parking garage available in the immediate vicinity of the WPE (Parking Garage (Parkhaus) 2, Virchowstraße 180). You can find more information on how to get there on this map. A beverage and a snack vending machine are available at our centre. A coffee shop is also about 200 meters away from the WPE.